Our organization holds proficiency in providing the top grade Pigeon Peas to our valuable customers. Our offered products are widely demanded by our patrons, which are situated all round the country. Known for its best quality, customers can avail these Pigeon Peas at affordable prices from us. We are supplier and exporter of Pigeon Peas in Italy, China, Egypt, France, Dubai, South Africa, Germany, America, Japan, uzbekistan, Russia, South Korea, England, Australia, West Indies, Zimbavae, Bangladesh, Spain and all over the world. procured from the trusted vendors, our pigeon peas are highly nutritional as well as delectable. 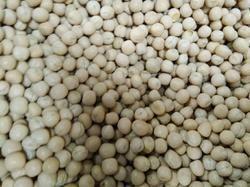 We have carved a niche as one of the supreme green pigeon peas exporters from india. Our dry pigeon peas are highly appreciated in the global market for long lasting shelf life. Our organization is involved in presenting a pure range of Pigeon Pea Seeds, which are principally acknowledged for high nutritional value, longer shelf life and easy to digest nature. These peas are organically processed at our vendor’s unit. India is the largest producer and importer of pulses. Gram (Chickpea), Masoor (lentils), Moong (Green gram), Red Kidney been, Tur (Pigon pea), Urad (Black gram), Green and Yellow Peas are major pulses. Owing to our rich industrial experience and expertise, we are engaged in offering a wide range of Pigeon Pea. These products are finely processed and have high level of medicinal value. Pigeon Pea is pure and free from adulterants and harmful bacteria. We ensure timely delivery of our products as per the mutual consent. We have carved a niche amongst the most dominant names in this domain, engaged in offering Pigeon Pea. 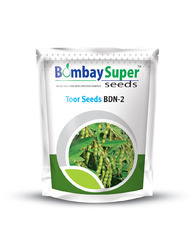 Pigeon pea seed biotur 11 for plantings medium maturity (160-180 days), medium long pods with 3-5 seeds, ideal for grain harvest, high number of effective branches, resistant to wilt, medium bold white grains. Yellow flowers. High yield.